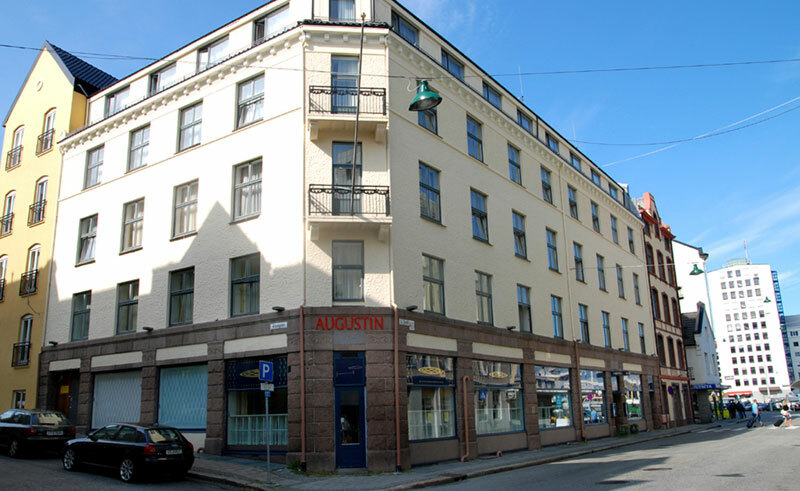 The oldest independent hotel in Bergen, Hotel Augustin is a family-run establishment with 113 rooms near the city centre. 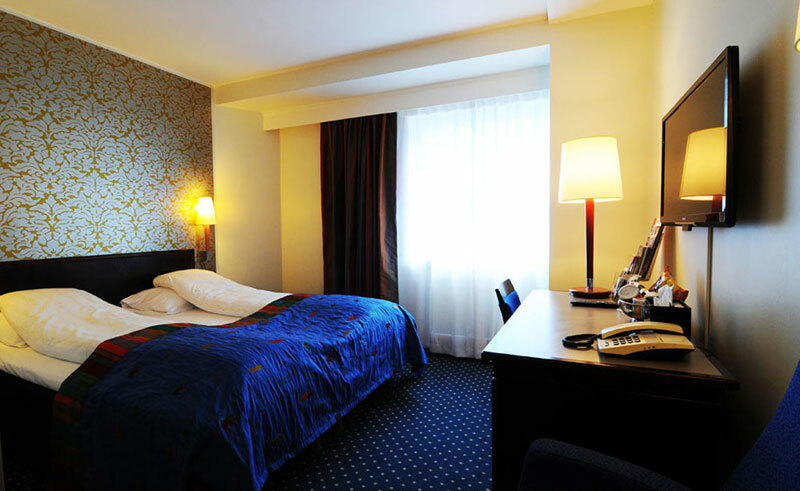 Found within easy access of the main shopping area, the hotel offers plenty of dining options nearby and is within easy walking distance of the central Torgallmenningen Square. 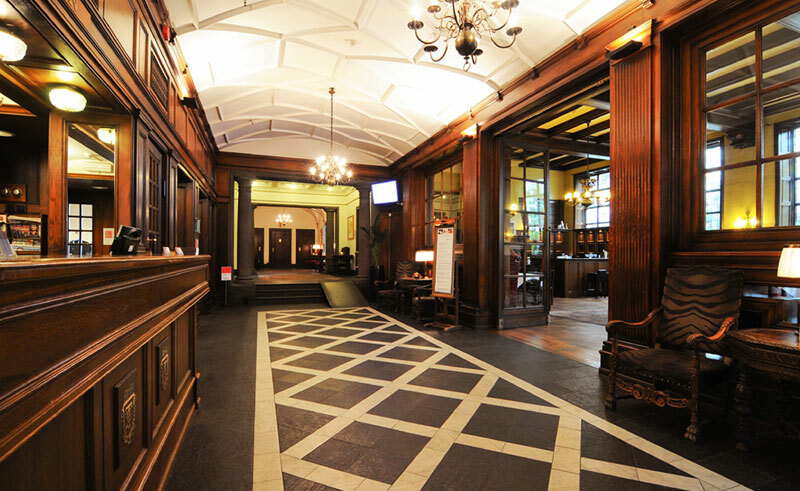 The oldest part of the hotel was built in Art Nouveau style in 1909 and has been owned by the Smoras family since 1919. Since then, the hotel has expanded, incorporating neighbouring houses and building new wings. Many original Norwegian works of art are on display, including paintings, sculptures and graphic prints which all add character to the hotel rooms and public areas. Johan Anton Risan, Johanne Marie Hansen Krone, Jacob Weidemann, Franz Widerberg, Per Barclay, Knut Steen and Bard Breivik are among the artists represented. Although there are many bars and restaurants found in the area of Hotel Augustin, many guests opt to relax in the quality wine bar and brasserie within the hotel itself, where informal Scandinavian fare makes up the menu. Complimentary tea/coffee is available around the clock from the bar area, with complimentary waffles from 4-7pm. All rooms are comfortable and well equipped, with different category rooms available. All have private facilities (some with bath), Wifi Internet access, telephone, satellite TV/radio and hair dryer. Bikes are free to borrow from the hotel.